At one point I started a Chaucer Project which grew much more than I had originally intended, getting drawn out over several months of disparate posts. 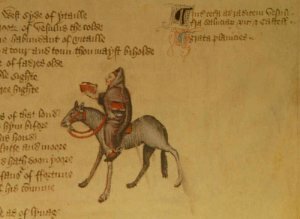 Here I am consolidating the series, but also adding on several other Chaucer posts in my pseudo attempt at organizing this blog. In the introduction to the project I set up the direction this will flow, namely my own attempt at picking up where previous works left off, and attempting to find my own ordering for the Canterbury Tales, while stopping along the way and looking at the various tales. 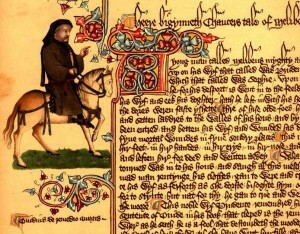 Essentially, once the hand written Canterbury Tales left Chaucer’s desk, during his final days, or shortly after his death, they were left to interpretation and editing. Most scholars working with the manuscripts will be faced with the challenge of tale ordering, as all extant manuscripts, even Ellesmere (most anthologized), is fragmentary. The problem, however, goes beyond simple tale ordering into the actual fragments, that through the numerous transcripts (84 known) become practically untraceable. There is little question in regards to Fragment I, consisting of the General Prologue, and Fragment X with the Retraction, but the middle has yet to be indisputably defined. 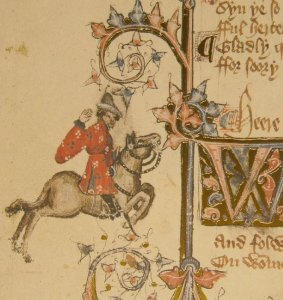 While different manuscripts rearrange the tales in accordance to theories formed on how the tales should interact, it is important to note who wrote these manuscripts. 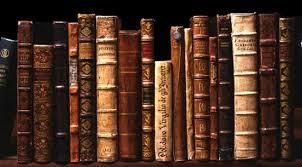 What evidence is there that any one manuscript accurately replicates authorial intent? As will be noted throughout my exercise here, and what has numerous times already been noted, analyzing the manuscripts and digging up information leads to more questions than answers. This is the beginning of an attempt to answer at least some of them. Continuing with the idea of tale ordering, and recalling that the tales do not necessarily move around independently, but rather in groups, or fragments, the process of determining a correct place becomes simultaneously more simplified and complicated. If the tales move around in fragments, and there are reasons for tales to be arranged in certain orders (i.e. Clerk after Wife), this effects the fragments altogether, moving them as units. Thus only a few relationships could be sufficient to determine how multiple tales move. The complicated part, however, is determining which tales comprise each fragment – something that can be done in two different ways that don’t always or necessarily work well together. This section will look at some general differences between Ellesmere and Hengwrt, then at Fragment III, and finally most specifically at the Wife of Bath and the Clerk. While what is considered Fragment III is for the most part unchanging across versions of the text, Fragment IV and V are often found broken up and rearranged, insinuating that they were never received as a full group; their adherence to each other was based on what the scribes believed to be common sense. The most apparent discrepancies in ordering occur with the Clerk’s, Merchant’s, Squire’s, and Franklin’s Tales, with the most likely explanation being that the tales were not found in one sequence, but individually, leaving the scribes to draw inferences for the links. Further, this section addresses a closer reading of the Merchant and Clerk and the structural similarities of their tales. After establishing a connection between the Clerk and Merchant, I further explore how the Merchant’s Tale speaks in the same way to the Squire’s and Franklin’s tales, outlining the necessity of building an uninterrupted narrative comprised of the Clerk, Merchant, Squire and Franklin. In continuing my argument for the consolidation of Fragments IV and V in the Canterbury Tales, I left off discussing the connection between the Merchant’s and Squire’s tales, contingent upon the Merchant’s endlink appearing within manuscripts. Thus far I have established that the Merchant follows the Clerk, who is in turn followed by the Squire, and in the current segment the Franklin’s Tale within the ordering is accounted for, using a similar tabular argument that links the tales in accordance to structural similarities along with a very close reading of various parallel words and phrases (as I realize I left my last tabular analysis entirely too bare-boned, even if purposefully). After my argument for combining Fragments IV and V, I refer to my previous (and brief) mention that several stories within these sections must follow the Wife of Bath, meaning that both Fragments must follow her as units. Further, Fragment III, containing the Wife, must remain intact as is, comprised of the Wife, Friar, and Summoner. Here I address the rather recurring question: why? I look at the three tales from various perspectives, attempting to identify structural and thematic threads that could potentially account for the reasoning behind their occurrence together. The Man of Law’s positioning within the Canterbury Tales is extremely unique as he moves independently throughout several fragments contingent upon which manuscript you consult. In Hengwrt he follows the Wife-Friar-Summoner group, and intercedes right before the Squire-Merchant-Franklin. In Ellesmere the Man of Law follows the Cook, right before the Wife. Corpus Christi, New College, Petworth and several others maintain that he follows the Cook, but they move the Squire and Merchant around to precede the Wife. Just like I had argued that the Clerk had to follow the Wife, I will state that the Man of Law needs to precede her, preferably right before without any tales separating the two. This means that even within the manuscripts where he comes right after the Cook, he is often too far removed from the Wife. If manuscript consensus is to be taken as authoritative, then the ordering I am arguing for here would be thought of as wrong. 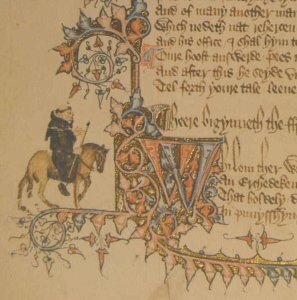 Yet much like the reasoning used to stipulate the Hengwrt is a prototype of the Ellesmere, I will state that the majority of manuscripts do not conform to this ordering due to a superficial link referenced in the Man of Law’s Epilogue. Further, I will rely on a more subtle connection to demonstrate the Man of Law’s right place – the same connection that some scribes must have made when choosing this ordering above the more popular one. In looking at the progression of the Shipman’s Tale it became apparent that at one point it was meant to accompany the Man of Law’s Tale (indicated by the lost Shipman’s Prologue that still has remnants in certain manuscripts), but instead was shifted to the bottom. Here I want to explore what actually happened to the Shipman’s Tale. It makes sense his prologue was abandoned because it was no longer useful as a linking device, and in the few places it did exist, it only served to cause confusion. The Tale, nevertheless, was not abandoned, implying that either Chaucer had already written it prior to creating it’s prologue and conceptualizing tale ordering, or he continue writing it with the idea of finding a place for it later. Regardless of why it was finished, it was placed within Fragment VII, one that I believed was reserved for those tales that were either struck from other fragments, or just did not fit anywhere else. Nonetheless there is another point, one that I did not initially see until I really got into the Shipman’s Tale, but very much exists. While I like to refer to Fragment VII as the “refuse” pile of leftover tales where connections to where the tales should have been can be made, there are distinct relations between them within the fragment despite their seeming disparities. In the end I hope to demonstrate a cohesive ordering. 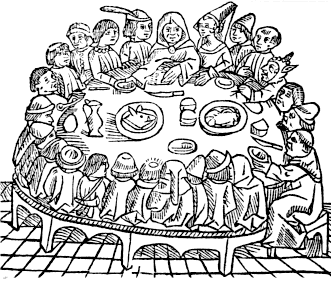 I am going to first discuss each tale’s connections to the Canterbury Tales as a whole before isolating them as a grouping (using the Ellesmere ordering). At the end of the last section I proposed certain changes to tale ordering in which I split up Fragment VII into two parts, dividing the six tales into separate groupings to better accommodate their internal contexts and physical clues within various manuscripts. Here I will reorder Fragments VIII and IX using similar methodologies as before, and relying on multiple facets of each tale to inform its location. 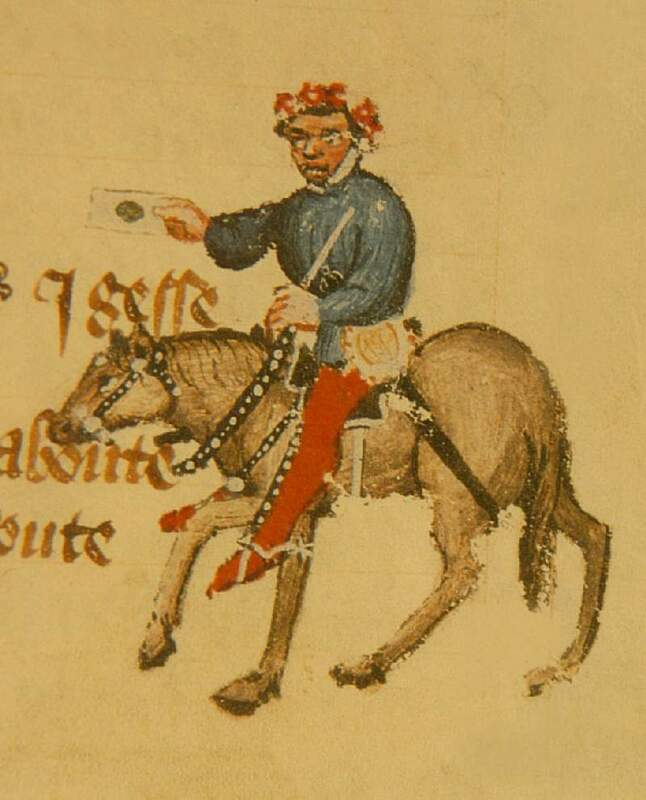 The Tale of Gamelyn is the black sheep of the Canterbury Tales Few have spent more time on it past dubbing it “un-Chaucerian” and “spurious” while making various arguments against its authorship. 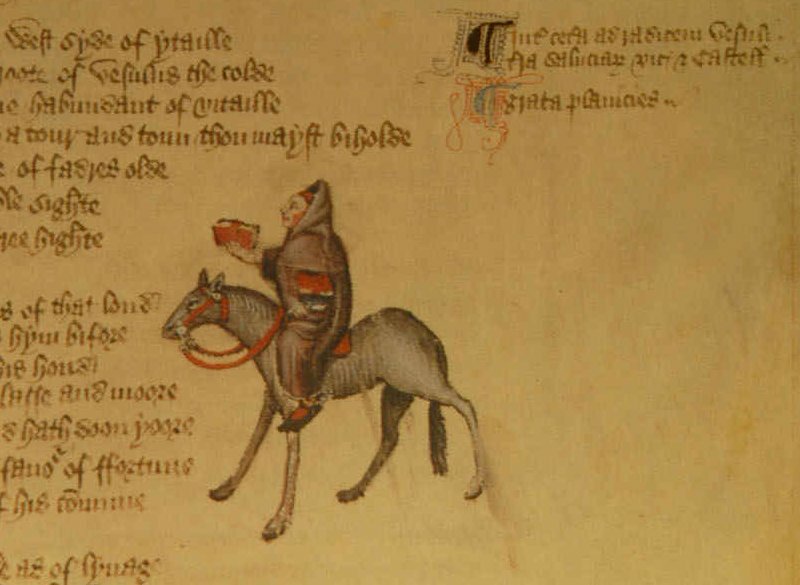 Some Chaucer scholarship has so deeply seeped into tradition it has become irrevocable truth among medievalists, and unfortunately the idea that the Tale of Gamelyn was an addendum to the Canterbury Tales and not penned by Chaucer has suffered such a fate. 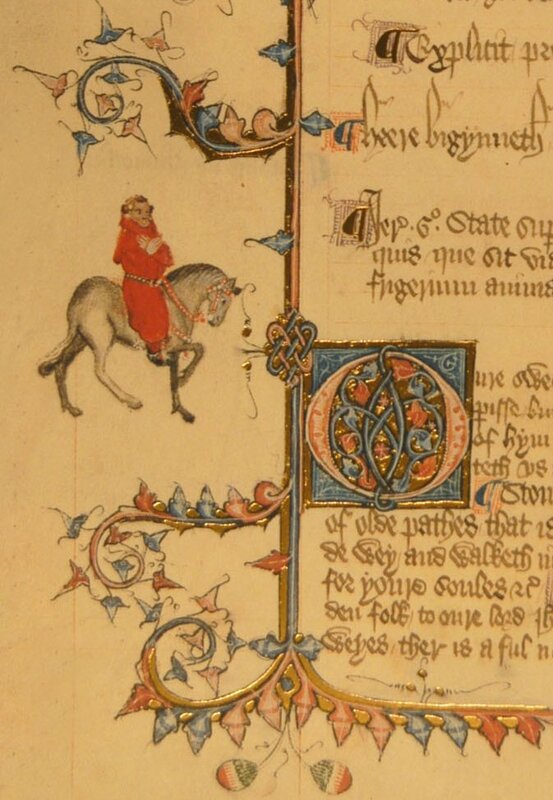 This (rather lengthy) section deals solely with the Tale of Gamelyn and its place within the Chaucer Tradition. 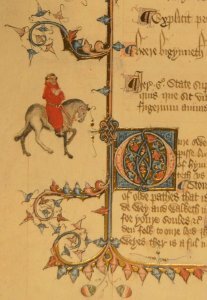 While this is hardly a fitting conclusion to my project, I would like to note that it was never meant to function as one since this project, much like the Canterbury Tales, is incomplete. Whenever I obtain more information, and I have some spare time, I look forward to Part XI. 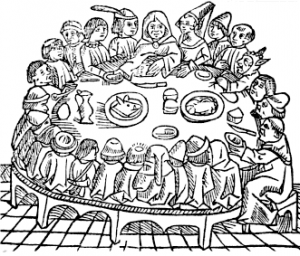 (Caxton’s representation of the Canterbury pilgrims). 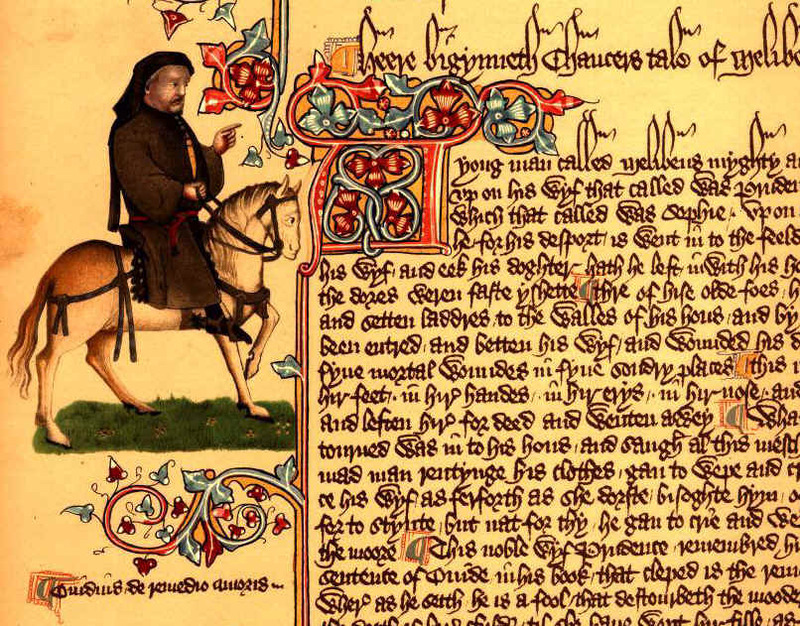 This is an extremely basic introduction to the General Prologue originally intended to introduce my first year undergrads to the Canterbury Tales. So, I suppose I can refer to this as a “walk through” introduction. This, too, stemmed from lecture notes, however, unlike the General Prologue study guide, I think this has a bit more merit and I could potentially develop it further. In short, it relies on a reading of the Clerk’s Tale that provides an alternate reading of the tale that posits it outside of concepts of matrimony or fidelity to god. Here I wish to look at the Clerk as a scientist, and accordingly read his tale as an over the top science experiment where the trials Walter bestows upon Griseldis are merely different forms of testing a hypothesis. This is exactly what it sounds like, an outline, and yes, it was also meant for my class. I thought breaking down the Parson’s various enumerations would render the tale more clear for my students. My works cited page functions as a list to encompass all the works used during the project above, along with various other Chaucer posts. However, it is shamefully incomplete as my desk runs rampant with post-its of references and citations that have yet to make their way into this digitized (and perhaps more easily accessible) list. In fact, since the last update of this list, I have taken to citing sources within individual posts in the hopes of alleviating the issue of trying to keep up with them later. This is the first of another small Chaucer project that is an extended survey of the Pearl Poet and selected Chaucerian works, discussing various parallels. 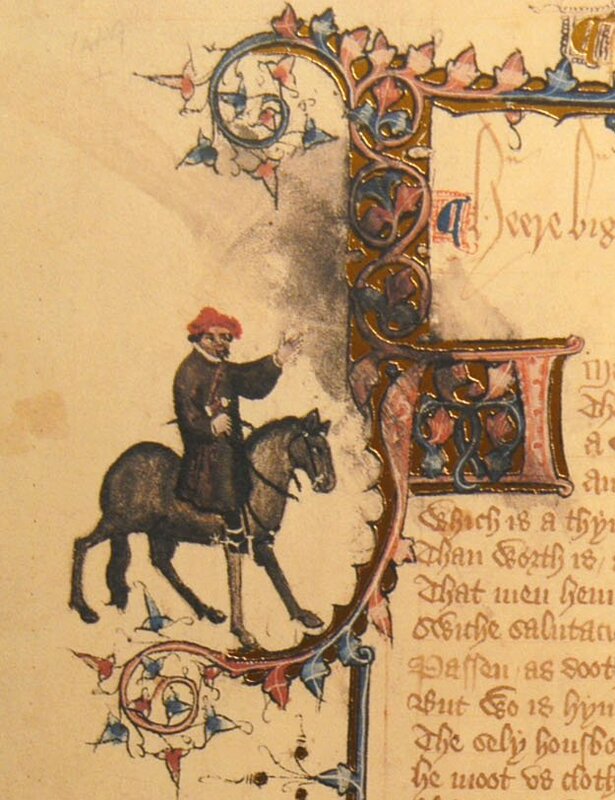 While the Pearl poet’s works have survived in only one extant manuscript, the Cotton Nero A.x., Chaucer’s for the most part abound (as much as 600 year old manuscripts can). 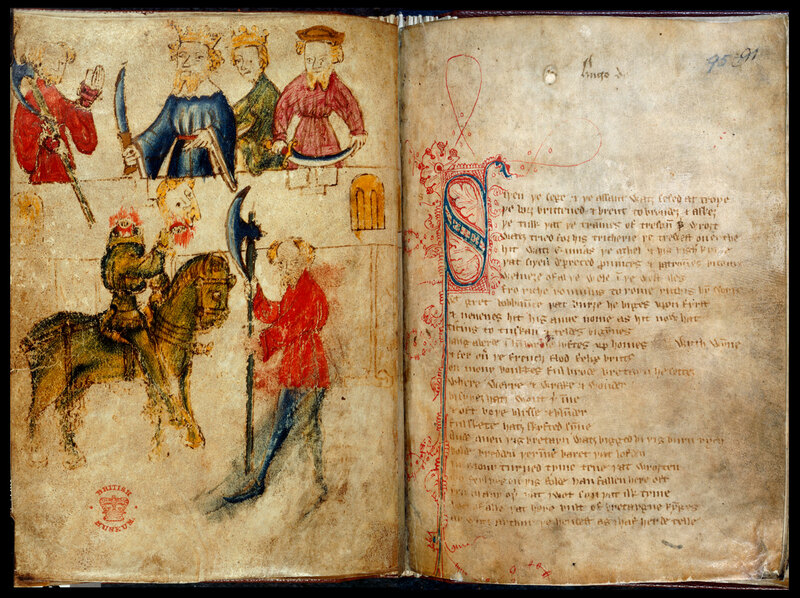 Here I will be looking at all four of the Pearl poet’s works, Pearl, Purity, Patience and Sir Gawain, and four of Chaucer’s works, The Book of the Duchess, Parliament of Fowls, House of Fame, and Troilus and Criseyde. The mere structure of the eight poems invites initial comparison that only deepens after a rereading, and hopefully upon closer inspection leads to an unambiguous parallel. Yet, it should not be assumed that the two poets knew each other, just as it would surely be wrong to believe that the two sets of poems belong to two entirely different cultures. 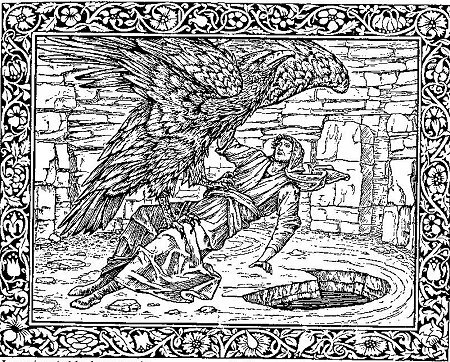 The safest stipulation lies within the interpretation that the two sets simply represent the same world through two lenses: a theological one, highly appropriate for a supposed monk, and a more cultural stance associated with a courtly patronized man like Chaucer. Without much divergence from the interiority of the poems, a quick glance should immediately signal a pattern of three smaller poems directly related to the grand narrative closing each quartet. It has been adequately, and appropriately argued that House of Fame was in fact written after Troilus and Criseyde in direct response to negative criticism of the larger work, but the chronology of the poems does not detract from the greater scheme since a reasonable explanation for a discrepancy of time would allow Chaucer to write Troilus and Criseyde a priori Fame, and then create Fame as a “prologue” for the other. Thus the overall structure of the quartet remains intact concerning both sets of poems and allows the comparison to be taken a step further, analyzing not only the quartets as wholes, but constituent poems as well. Such an interpretation would group the poems in several ways. First, would be the interpoetic pairing of Pearl and Duchess, Purity and Fame, Patience and Parliament, and Sir Gawain and Troilus and Criseyde. Second, would follow the intrapoetic comparison concerning the numerical unity of the Pearl poems as a group, in relation to the dramatic dream vision climactically concluding with a very realistic narrative in the Chaucerian quartet, essentially binding the divine and worldly, each providing a different piece of a larger puzzle. 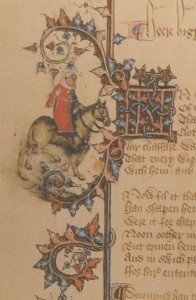 The idea of contrary, or better stated, complementary pieces was prevalent within the medieval tradition, dating back to (and before) the Roman de la Rose, a favorite piece to be borrowed from by Chaucer, and appropriately also a poem centered around a dream vision. 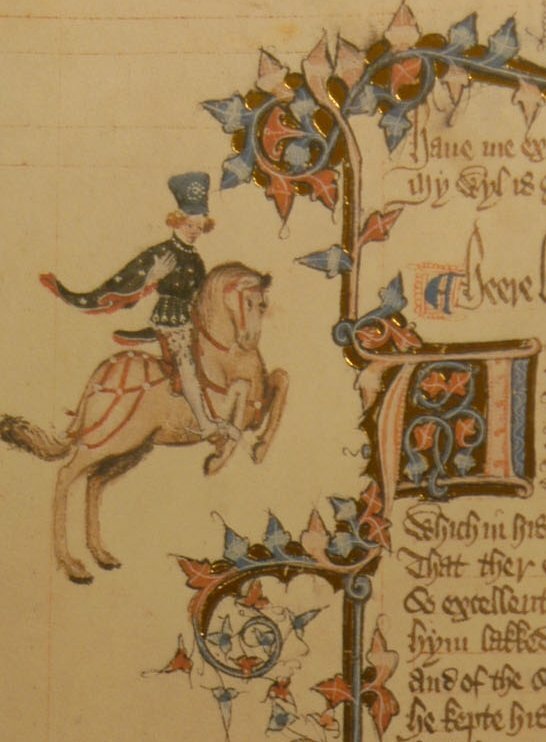 Interestingly Jean de Meun’s observation is an apt summary of any comparison to be made between Chaucer and the Pearl poet, but also on the strategy used in Purity, and to a certain, and perhaps lesser extent, Fame: “Things go by contraries; one is the gloss of the other. 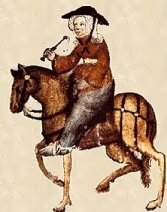 If one wants to define one of the pair, he must remember the other, or he will never, by any intention, assign a definition to it.” While the quartets (as previously set up between selected Chaucerian works and the Cotton Nero A.x. manuscript) are not necessarily absolute contraries to one another, they certainly gloss each other. 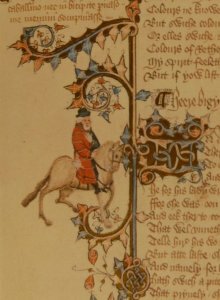 The spirituality that is dramatically absent from Chaucer’s works is prevalent in the Pearl poems where the romance and material affairs are missing. While Purity, and Cotton Nero A.x. as a whole are meticulously calculated, making it obvious that the author spent the majority of his energy and time producing the skeleton of the work before creating the words to wrap it with, Fame appears to be nowhere concerned with its physical presentation, but rather relies on the narrative to relate its message. Nevertheless, both works function within the larger scheme of the eight poems to help elucidate human error, even as they differ in the judgement delivered. 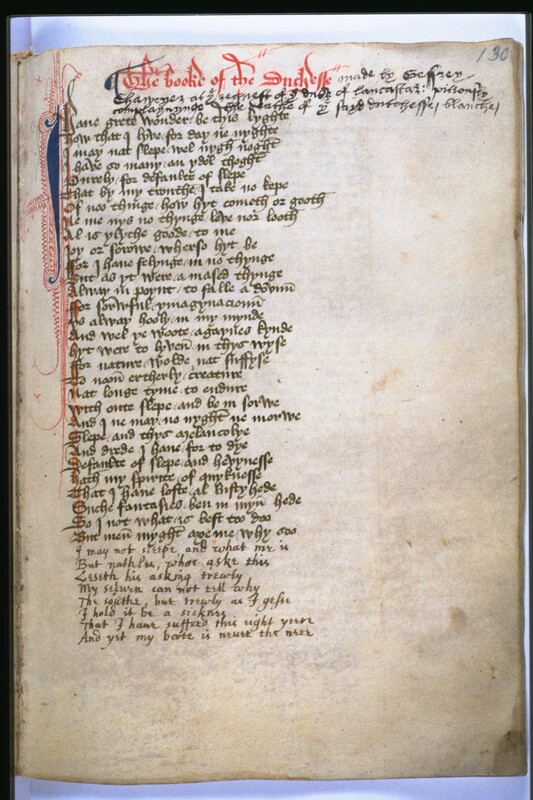 Repentance, while significant in Pearl and even more so Purity, is also a central theme in Patience, and patience is prominently depicted in Chaucer’s Parliament of Fowls, but extracted from an eternal context and applied to worldly love. 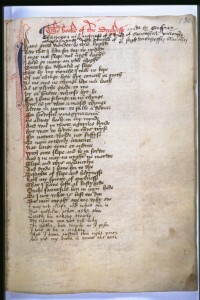 Thus the two poems, Parliament and Patience, achieve harmony as they each manage to portray humanity from different perspectives: the theoretically theological aspect where the idea of virtue is handed down by God and, in contrast, the strikingly human aspect that has real world applications. A similar division of aspect, as found in the previous parts, is illustrated by the final two poems in each quartet. 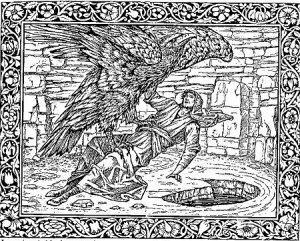 Sir Gawain and Troilus move to achieve what the previous poems had not accomplished, yet both seem to fall short only to evince the impediment of human limitations, or shortcomings. A discussion of these final poems will also importantly conclude the interpoetic portion while explicating the intrapoetic unity that defines the two quartets as halves of a complete whole. 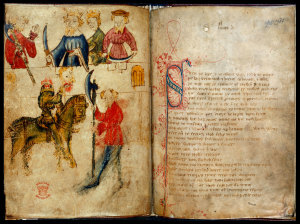 As Criseyde, Troilus, and Sir Gawain take center stage in a stark comparison of two quite different poetic styles and matters, the entirety of Cotton Nero A.x along with Chaucer’s earlier poems will join them to further demonstrate their importance which could not otherwise have been evident from looking at the constituent parts. Essentially both of these poets have created works that serve as a reminder of the duality of mankind, preserving a delicate balance between the spiritual and worldly. Throughout these eight poems a mirror is held up to man to illustrate a propensity for error and offer reassurance that human fallacy, whether towards each other, or in relationship to God, is a part of being human, and despite the most sincere redress, perfection is unattainable; perseverance is all that remains.